Tania Michele: The Hassle Free Razor! 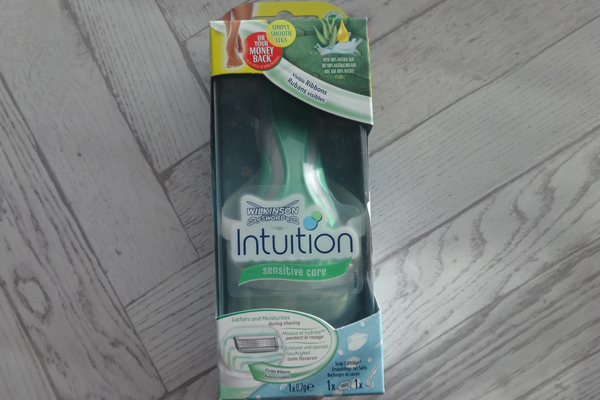 Being a girl who likes smooth legs, it is sometimes so time consuming and annoying to put into action. Most of the time, I just wear jeans, so I don't have to worry about my Wookie legs being on show - but this is a season for party dresses and fancy heels. So a girl has to shave. I've not had a leg wax since 2014 as I only really go down that route if I'm going on holiday! So the only other method I'll do it a razor! Well sometimes, it's a long and arduous process of contorting yourself into various positions to make sure you've not missed anything on the backs of your legs with the stupid foamy, shaving gel crap - and you always miss a bit! 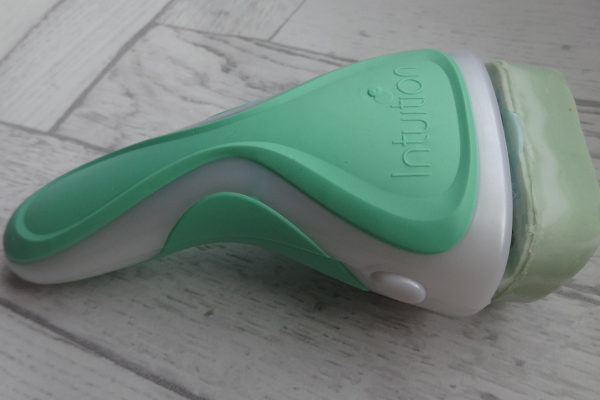 So I present you with the hassle free razor! 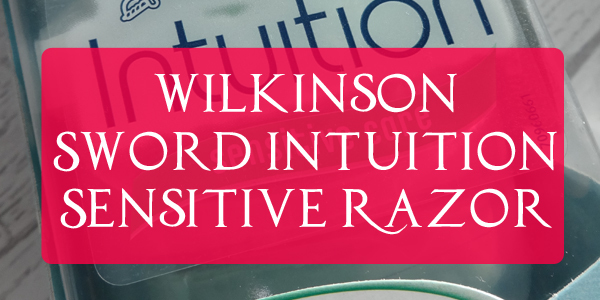 This wondrous razor is the Wilkinson Sword Intuition Razor, retailing at a pretty £6.49 from Superdrug! I've been using this beauty for the past year or so, and I love it. And it comes with a handy little bathroom wall holder with a little sucker on the back, so you can just hang it up in the shower once you're done with it! 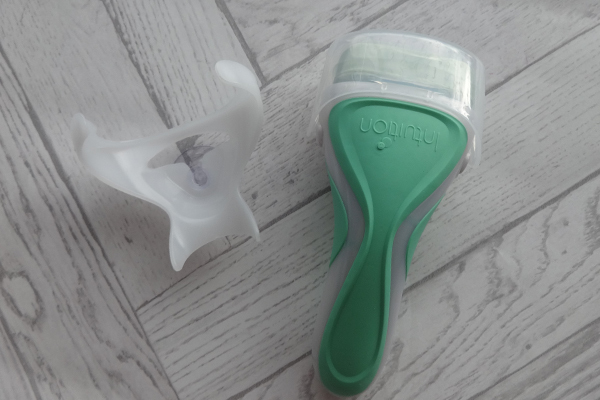 There is no need for the shaving gel, as this has a lovely band of sensitive aloe vera soap around the razor, that acts as the gel, and leaves your legs feeling so soft afterwards! Each of the razor heads usually lasts me a good two-three weeks if I'm only using it once or twice a week. 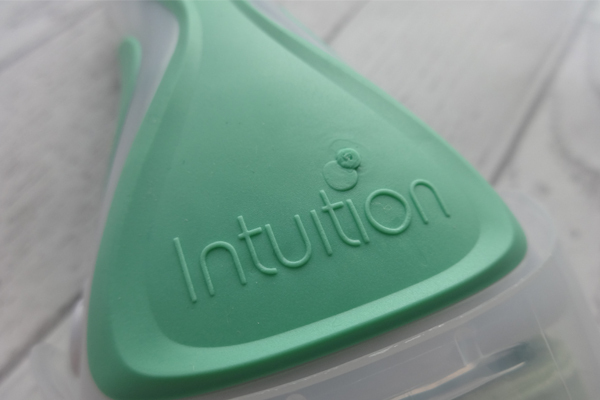 But, when the time comes for a new one as the lovely soap around it has whittled down, you'll need the refills, which come in a pack of 3 from Superdrug at £6.79 a box. 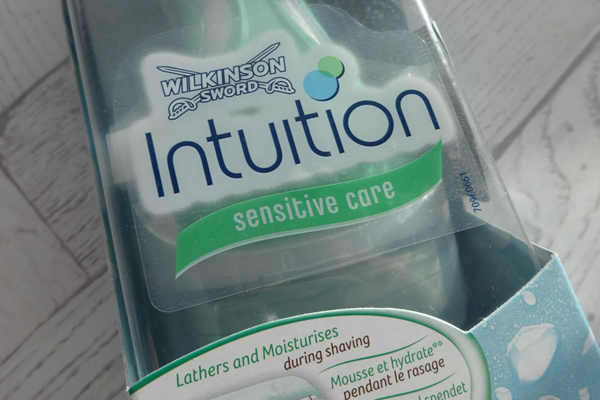 It means I'm no longer spending half my life trying to get the shaving gel all over my leg in an even coat, and it's not then sticking itself to other parts of me, the bath or the shower curtain! You just wet the razor, and off you go! 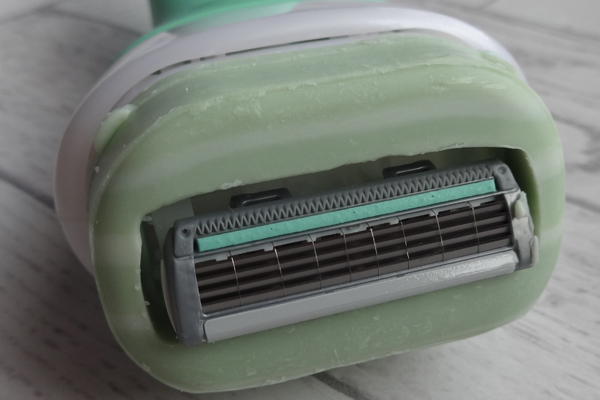 Where you're so soft after using it, you can feel for any missed bits, but I've rarely had this issue, as the razor normally does a great job on the first go.